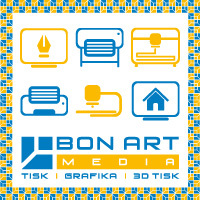 Bon Art Music is a prominent promotion and production company operating in the Czech Republic market as well as abroad. Our mission is to make the ideas of our clients and business partners alive, and help them on their way to achieve their goals. We have been active in the market for over 15 years, and during that time we implemented with success over 1,000 actions, events, concerts and other projects. In those events, our clients used and still use complex production and promotion services that we are able to render thanks to our rich experiences and broad network of cooperating and cautiously tested partners. We do not do compromises. Our sole target is successful completion of project, and the measure of success is happy client who manages to achieve their goal via our services. We are proud of being able to provide our clients with complete and professional service on individual events as well as long-term projects. First of all we create a plan of the entire event along with the client, based on the client's ideas and desires, and then we take care of the rest. Our clients define to what extent they want to be engaged in the project implementation. Some of them wish to be regularly notified of the state of things to a great detail whilst the others prefer to be pleasantly surprised by the outcome of our work. And we are pleased to be able to make happy every single one of them through our services and experiences. Production of concert performances and tours. We provide all services associated with the organisation of the event. Up to the present day we have successfully produced over 160 concerts and tours. Production of music CDs, DVDs and books. Within our editorship we have issued over 300 titles. We provide complex services from the provision of record, production of carrier, graphics and production of print materials to successful launching to the market with proper promotion. Promotion campaigns with regional and all-republic reach. 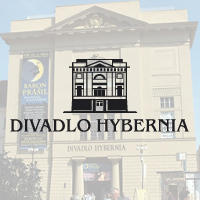 Based on the client's needs we are able to implement superficial campaigns on billboards, show cases, CVL, kiosks and posts across the entire Czech Republic. We have at disposal over 2,500 places to fit your announcement. Cooperation with prominent domestic and foreign artists. 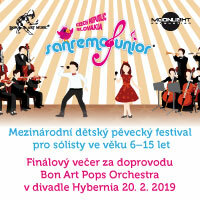 They include, among others: Miro Žbirka, Chinaski, David Koller, Jaroslav Svěcený, Helena Vondráčková, Jitka Zelenková, Štefan Margita, Karel Mařík, Dan McCafferty, Kristýna Peterková, Michal Hrůza, Marek Ztracený, Radim Schwab, Michaela Gemrotová, Markéta Konvičková, Marpo and many others. We are looking forward to cooperating with you, too.